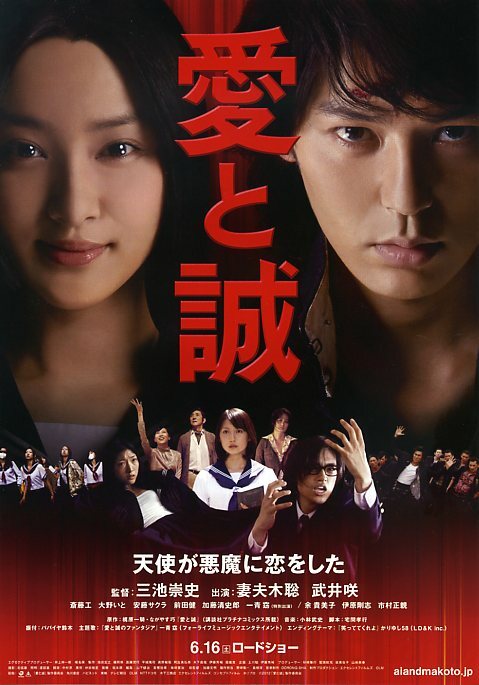 When violent sullen bad boy Satoshi Tsumabuki crosses paths with idealistic rich girl Emi Takei, the stage is set for a “different worlds” romance, but this being a Miike film, there is nothing traditional about the events that unfold. However, even setting aside the evening’s projection issues, there is a distracted feeling about the prolific and unpredictable auteur’s latest musical/comedy/romance/action offering. Not because of its willful genre blundering, which I quite enjoyed, but rather because occasionally its internal rhythm seems to falter – behavior and motivations feel strained rather than fanciful, as though Miike felt that he had an obligation to color outside the lines as opposed to being inspired to do so. Still, audiences ate up the bizarre Glee-ful interludes right along with the brain-shattering fistfests, though at 133 minutes, the slight material might have slightly overstayed its welcome.